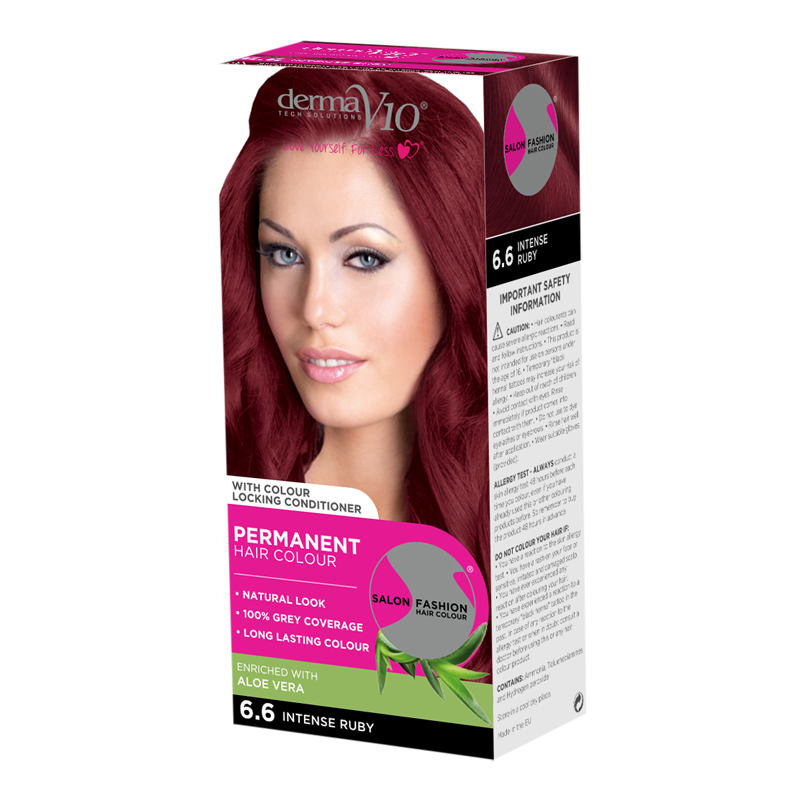 Give yourself a fun new look with this Derma V10 Salon Fashion Hair Colour in Ruby, a permanent home hair dye in an intense and striking ruby red. 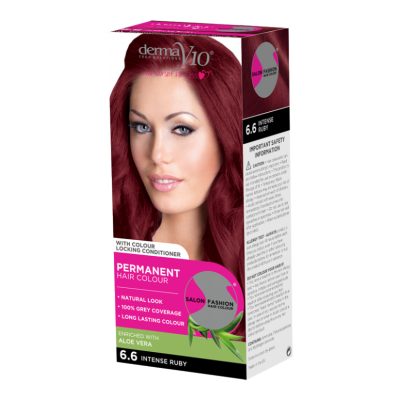 Derma V10 covers grey hairs, has colour locking technology and helps you to achieve a natural look. A colour locking conditioner enriched with jojoba oil, aloe vera and red grape extract is also included to nourish your hair after dyeing it.